Directly to the beginning of walking street on the right side behind the Bar complex is one of the best restaurants in pattaya, it calles beergarden and is world famous, the hole package is right. 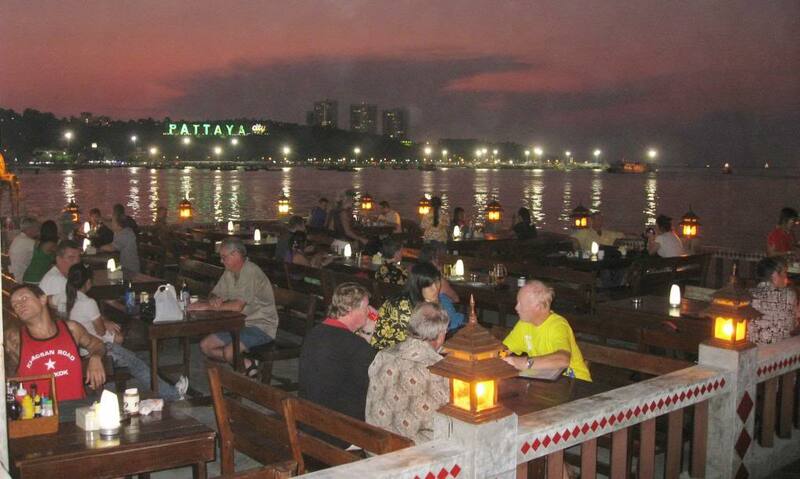 Very responsable prices for drinks and food of any kind, included with an awsome view on the pattaya sign. To the beginnen of the Walking Street Nightlife on the right side is a one in a kind restaurant, hidden behinde a huge bar complex.